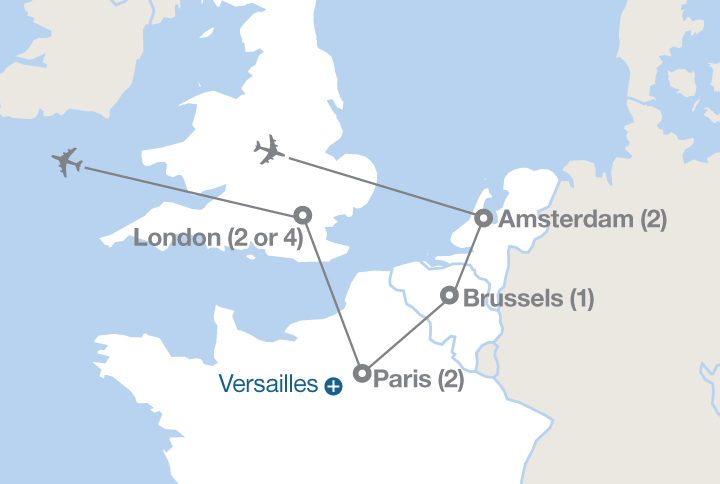 London, Paris, Brussels, and Amsterdam to be exact! This summer my parents decided to lead their students on a guided tour of Europe. I have mixed feelings about my first “big tour” experience. Honestly, The introvert in me didn’t being part of a 80 something strong group. The fact that a majority of these 80 something people were all 13 or 14 year olds did not help either. The biggest thing however was that the entire 8 days I was there I spent yearning to go off and explore on my own. This is the unfortunate thing about a scheduled tour. Everything is set into stone and you cannot deviate from what the tour director has set. For example, while in London our tour made a stop at St. Paul’s cathedral. Now I’m not religious, but when I see something that in one form of another has existed for over a millennium I would like to do more than stop inside for a group bathroom break. Also, because we were a group of 80 something people and because we all absolutely had to stick together at all times, dinner was not ideal. There were no menus. We ate what was given to us. This is completely fine if the restaurant happens to be serving a local recipe, but again without a menu you don’t even know the names of the dishes your eating, much less know if there are any allergens inside said dishes. How was I supposed to know that the vanilla ice cream we were served was chock full of ground up nuts? That one made for a very unpleasant evening. If my allergy was more severe or if I had not had my medicine with me, I could have died. Then again, if you are a person who has not traveled outside of the country before, or are quite young, a tour might be perfect. It provides a safe environment to learn how a foreign country’s infrastructure and culture work so that the next time you decide to travel, it can be on your own. Thankfully, the next time I travel, I will be on my own. For a year… Oh my. To keep things as short as this trip was I will give you my top 3 favorite things and 2 least favorite things from each city. +1. 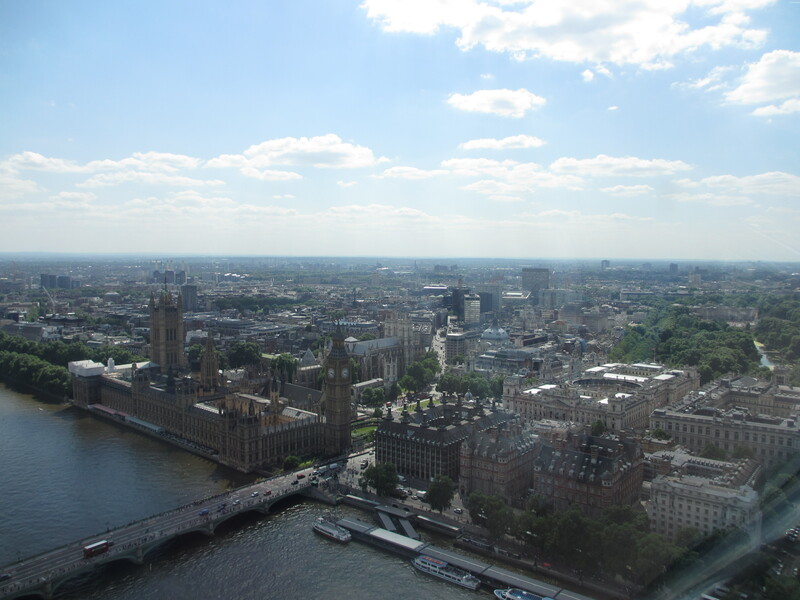 British accents: I could live in London the rest of my life just to hear their accents every where I go. Basically, everything you’ve ever imagined about accents is true. An offshoot of this is I discovered I loved hearing all of their quirky words and phrases that you never hear in America! Watch it. Watch it now. +3. The varied architecture: London did not have a Haussmann to tear down streets and re-build London with one uniform design. Ironically, one of my favorite things about Paris is what makes London so refreshing to me: the variety! -1. It was too American: It was just weird to walk into a store and hear Avicii playing on the radio. There’s absolutely no reason for them to NOT play Avicii or American music, but I guess I expected more Beatles and One Direction. 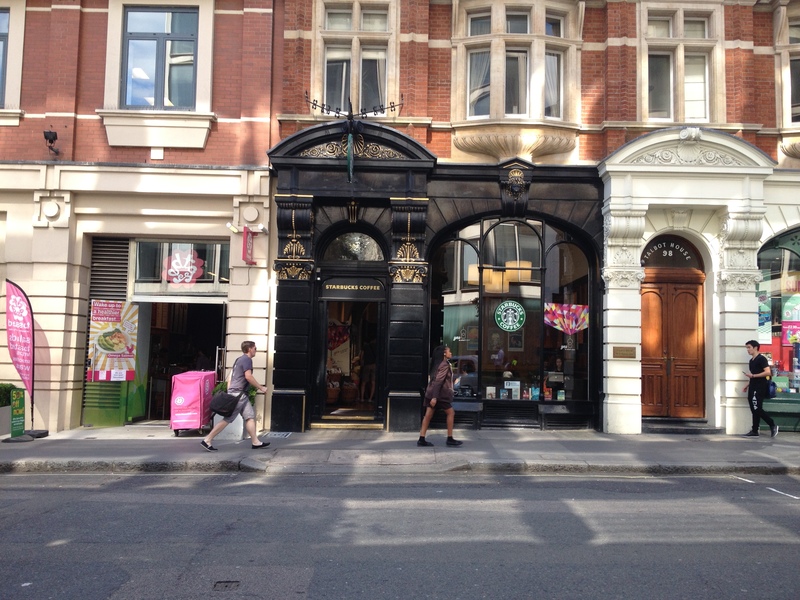 Also… There were Starbucks everywhere. More Starbucks than I have ever seen in one place. There were literally 3 on the same tiny street. Two of those three could have fit into a photograph if I’d thought to take one. They were completely separate stores yet less than 100 feet from each other! You think living in London would mean you would miss American food. Nope! 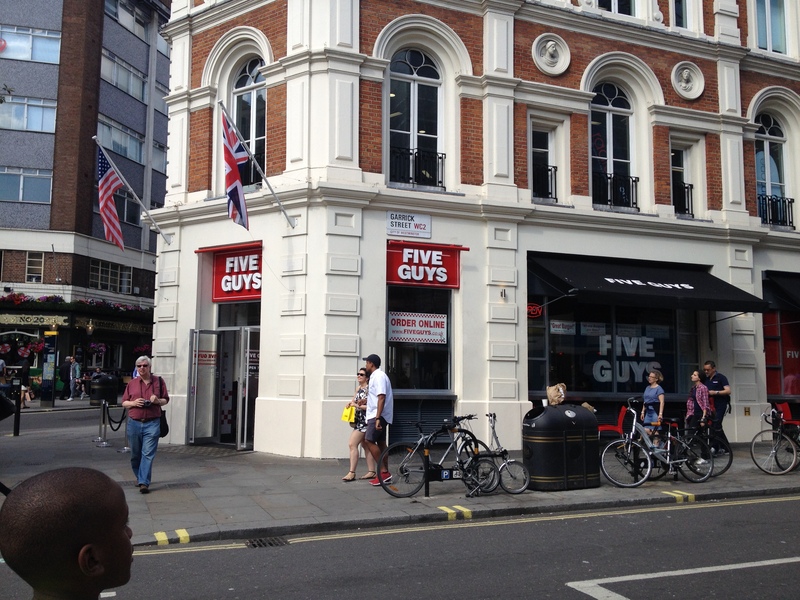 They had everything from KFC, to Chipotle and Five Guys! -2. Pollution: **WARNING** TMI right here! I started to feel a little sick my second day in London and so while blowing my nose I discovered that all the snot coming out of my nostrils was black. My snot was black. Boy that freaked me out. It freaked me out so much so that I then decided to blow my nose in every city we went to on the trip from that day forward. My snot did not suffer from the same discoloration at any city after London… which means that I was breathing in black stuff in London. Nasty. Don’t believe me? Here’s an article about pollution in London. So now this post is already ridiculously long so stay tuned for updates on my city-soul mate, belgium chocolate, and my secret life as a time travelling Dutch girl which has absolutely nothing to do with those magic truffles I saw in Amsterdam. Promise! Emily, I love your perspective! You are amazing and wonderful and brilliant! Don’t forget you were one of the first teachers I had who introduced me to the world 🙂 so it’s all your fault!